There's spatial intelligence. they're, which end up being, people going into math or music. there's mechanical where you work well with your hands. There's an intelligence with language that would lead someone into writing. 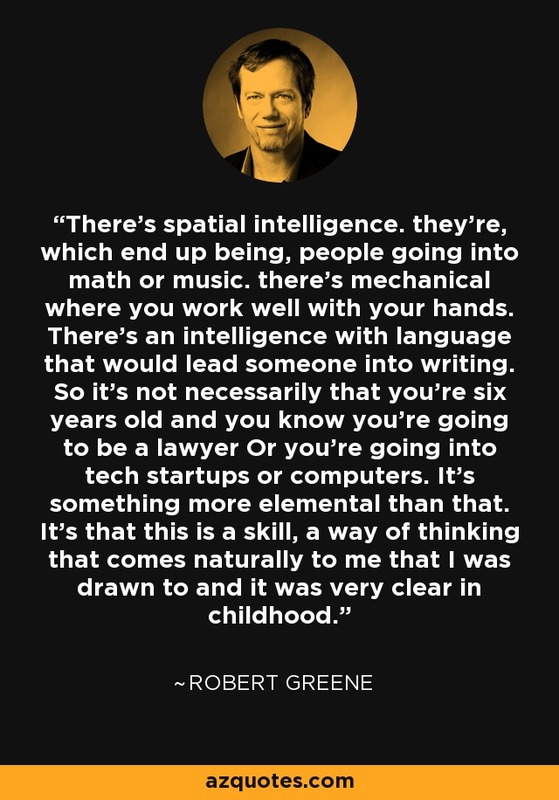 So it's not necessarily that you're six years old and you know you're going to be a lawyer Or you're going into tech startups or computers. It's something more elemental than that. It's that this is a skill, a way of thinking that comes naturally to me that I was drawn to and it was very clear in childhood.